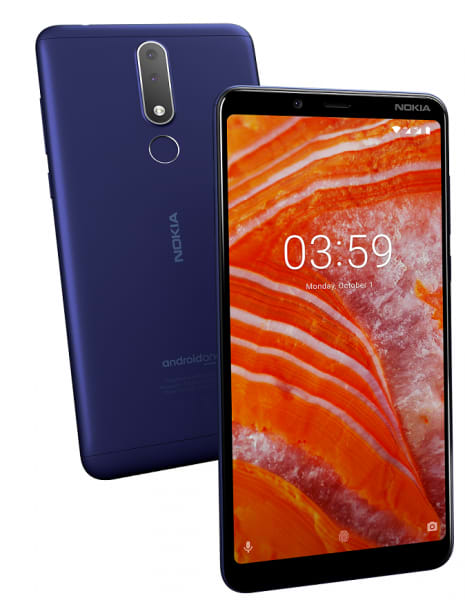 The Nokia 3.1 Plus also features a 13MP rear camera and 8MP front camera. The wide-angle lens of the front camera lets more people get in on your selfies, and with panorama mode, the rear camera adds a dramatic touch to your photos. The 5.2" HD+display features a cinematic 18:9 aspect ratio and 2.5D contoured glass, for a sculpted look that also helps you get a better grip on the phone. With Corning Gorilla Glass, the display gains protection that is designed to reduce the risk of damage after an accidental drop. There's even an anti-fingerprint coating to help keep it clean of swipe and tap marks. Running the Android 8.0 Oreo operating system.